What Kind of Exercises Can You Do in Your Senior Years? 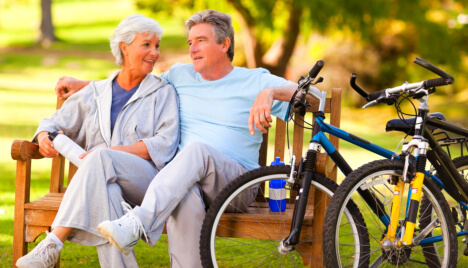 When you are a senior citizen, it is a pretty good idea to maintain your health. There are many methods that you can use to do this. However, one of the most simple and effective techniques available for you is exercise. Exercise can be a challenge for an elderly individual but with a Home Care in Louisiana such as Bayou Home Care, we can make sure you are able to exercise effectively and safely. Walking: Walking is the easiest and most basic exercise you can do. This is also a great starting point if you are not used to exercising or if you have not exercised in a long time. Jogging: A more challenging exercise you can do is jogging. This is the most common exercise out there. This is great for you when you want to maintain your weight and your health. Running: If you are looking for something much more challenging, then running is always an option. This is great when you want to build up your physical strength. However, this can be discouraging if you are not used to exercising. So build up your physical capabilities with easier exercises first. Swimming: Without a doubt, one of the best exercises you can do is swimming. The reason for this is because it is a full body workout and swimming is fun. If you are looking for a workout that is extremely effective, this is the one for you. Just make sure you have a friend or one of our caregivers watching over you because swimming can be exhausting. Biking: An exercise that allows you to explore your local area is biking. This is a good excuse to go out and see the places around you! It is also a superb leg workout. Exercise is so critical if you want to continue living life on your own terms in your golden years. Your health can be fragile at an advanced age, so it is paramount that you are doing everything you can to maintain it. Our website www.bayouhomecare.com is filled with useful information about your health as well as the services we can offer you. If you have any questions, please call us up at 985-252-0040. Staying healthy has never been more fun! This entry was posted in Home Care and tagged burn pain, companionship, elder, elderly care, exercise, heart attack, home care, home care in louisiana, home health, homemaking, personal care. Bookmark the permalink.